Are you searching for a new and unique Knife ? 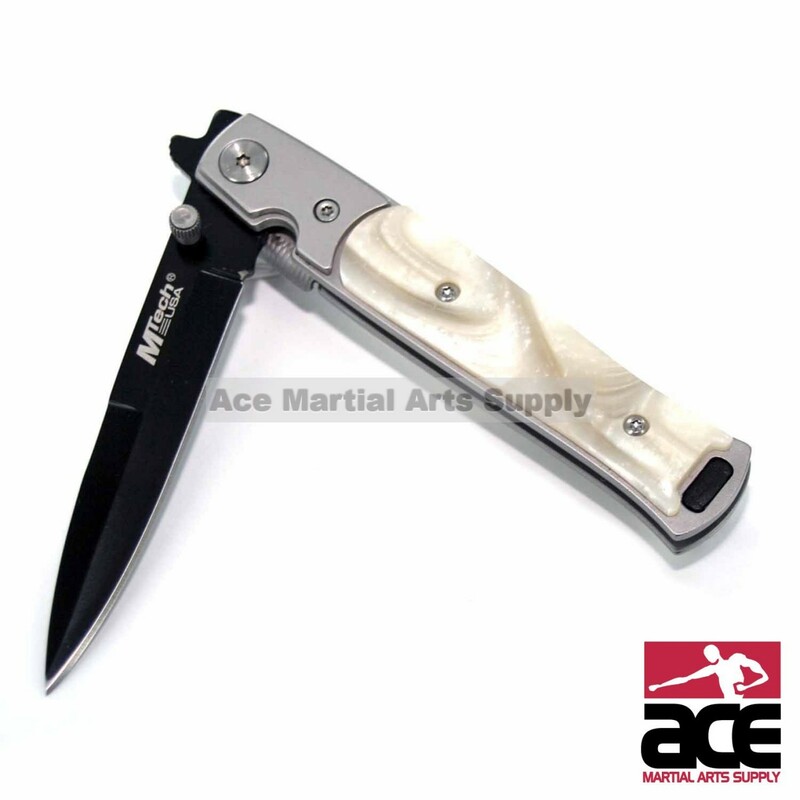 We carry a vast variety collections of Knifes for you to choose from. Whether you are just looking for a knife to add to your collection, or looking for a knife to use. If a reliable and efficient knife is what your looking for, we have it. 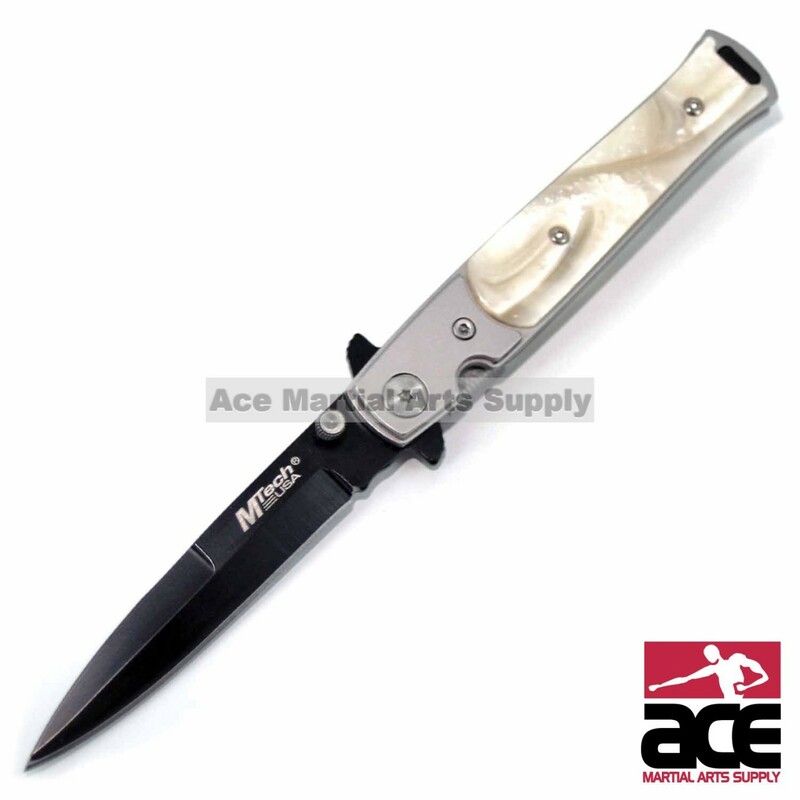 This product features a stainless steel black coated blade, with a smooth pearl finish handle for a luxurious look. 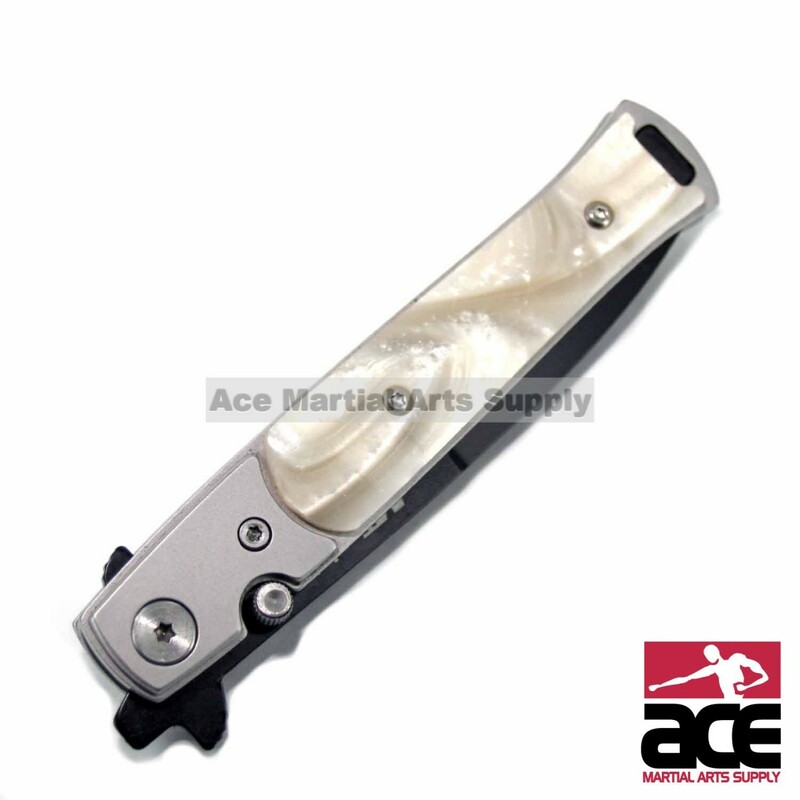 This product also features a line locking system which secures the blade in place when deployed for your safety.